Lahore: Punjab Chief Minister Muhammad Shehbaz Sharif presided over a meeting, here today, in which preliminary report of untoward incident occurred at Jhelum was presented. The Chief Minister ordered investigation into the incident and said that inquiry committee should present complete report after reviewing every aspect of the incident. He said that no person will be allowed to take law in his hand. He said that all necessary steps should be taken for maintaining the environment of public peace. Shahbaz Sharif directed Cabinet Committee on Law & Order to visit Jhelum to review the situation. Provincial Minister for Law Rana Sanaullah Khan, Chief Secretary, Inspector General Police, Secretary Home and concerned officials attended the meeting while elected representatives from Jhelum, Commissioner and RPO Rawalpindi, DCO and DPO Jhelum participated in the meeting through video link soon after an enraged mob set a Ahmadi place of worship on fire in Jhelum district on Saturday, following Friday night’s arson attack on a factory. 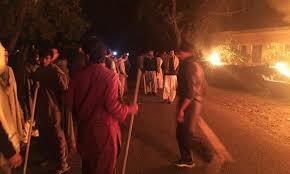 The mob later moved to the Grand Trunk Road, blocked the route and chanted slogans against the police. Members of the mob also clashed with police personnel as the latter tried to disperse the crowd. Police fired rubber bullets and fired tear gas shells at the mob, members of which resorted to aerial firing. Three men were reportedly injured in this unrest. However, there were few policemen on the scene who thereby failed to control the situation. The place of worship was located in the Kala Gujran area of Jhelum, which was under guard of local police forces. The mob managed to break through the police cordon which was established to safeguard the Ahmadi places of worship, following Friday night’s unrest.The incidents were a result of rumours circulated which levelled blasphemy allegations on the owner and workers of the factory. Interior Minister Chaudhry Nisar Ali Khan has taken serious notice of law and order situation in Jhelum and ordered deployment of troops. 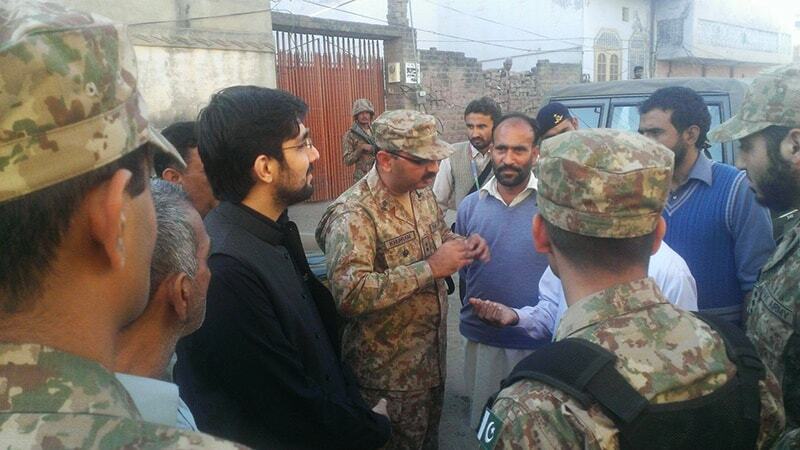 He said the troops will assist Punjab government to prevent any untoward incident in Jhelum. Meanwhile, a contingent of the Pakistan Army was called in to assist the local police forces to calmed down the situation.